Band photo in September 1964. From the left: Bill Wyman, Keith Richards, Brian Jones, Mick Jagger and Charlie Watts. Hyde Park, London June 1969. Mick Taylor in the white jacket is replacing Brian Jones on lead guitar. August 1976. Mick Jagger performs at an all-day concert at Knebworth Park, where the legendary rock band were top of the bill. Nearly a quarter of a million rock fans packed the Hertfordshire site for the concert. 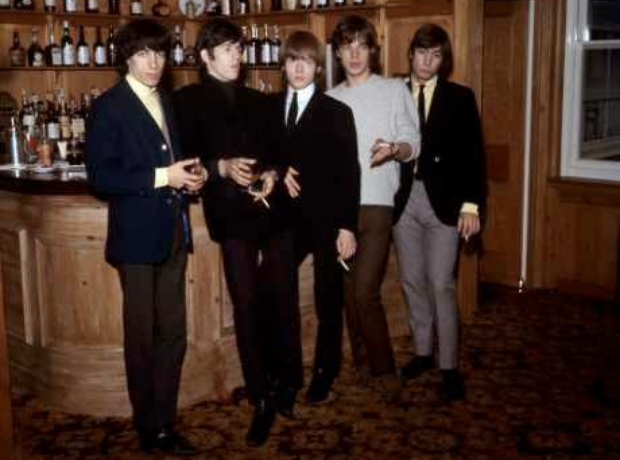 On this day, 23rd November 1964 the Rolling Stones were banned from the BBC for showing up late for radio shows. (l-r) Mick Jagger, Bill Wyman, Brian Jones, Keith Richards and Charlie Watts. Keith Richards performs on the band's 'A Bigger Bang' tour at AWD-Arena in Hanover, Germany, Wednesday 19 July 2006.